WordPress is by far the world’s most popular and commonly used content management system (CMS). Typically, a CMS is used to manage content and serve as a platform for a website or blog. There are millions of active web installations that run on the WordPress platform and more than 17 million sites depend on it. It is touted as the best website-building tool because of its simplicity and ease of use. Most organizations start by creating a simple website. But as they grow, they may want to host internal trainings for employees, provide promotional activities for customers, or build e-commerce functionality into their sites. Hosting and tracking courses and training activities require organizations to invest in a learning management system (LMS). But, not all companies have the funds to set-up a standalone LMS. This is where WordPress saves the day, as it can serve as a cost-effective and efficient option. Did you know that WordPress has an ever-growing repertoire of plug-ins that can turn it into a full-featured LMS while retaining its standard toolset, administrative dashboard, and ease of use? 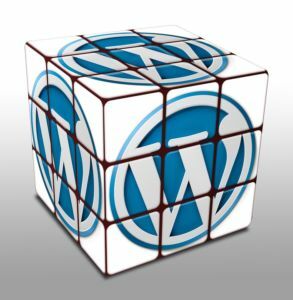 One of the most valuable features of WordPress is their plug-ins. These plug-ins extend WordPress’s functionality. The number of available plug-ins offered through WordPress.org is 49,000 and counting. They are valued for their ease of use and flexibility. They include solutions for ecommerce and search engine optimization, among other things. Moreover, as an open-source platform, WordPress has a large community of developers who continually improve its code base. Below are highlights of some of the popular plug-ins that turn WordPress into a powerful learning platform. Touted by industry experts as one of the most widely used LMS plug-ins, LearnDash is not only feature-rich but also flexible. It is packed with a range of features that make course development an easy process. From creating lessons and assessments to tracking student progress to selling courses this plug-in offers a large number of LMS capabilities. The one feature that makes it standout from other LMS plug-ins is its support for courses published using the xAPI (Tin Can) standard. The xAPI specification for learning content allows systems to collect data about a wide range of learning experiences. xAPI captures this data, allowing learning activities to be tracked, shared, and quantified. It also allows for content to be portable, as it can be applied to eLearning on most devices. LearnDash also allows courses to be structured into lessons or modules. These lessons can be gated, so learners have to take them in a set order or on a pre-determined schedule. Either the date can be configured so that a particular lesson cannot be accessed prior to that date (for example, a day after course enrollment or purchase) or pre-requisites can be set (that require students to complete previous lessons, topics or quizzes before moving ahead). LearnDash supports assessments, which are a great way to track student progress. Quizzes can be created using eight different question types, including multiple-choice, single-word, sorting, matching, and essay-type. Questions can be displayed in text, audio, or video format. Displaying custom messages based on quiz performance, applying quiz timers, and using question banks can further enhance the assessment experience. This plug-in includes some social features that allow for student interaction and competition. Students can earn certificates and badges based on their performance in quizzes or for completing a course or both. And to motivate them further, top scorers can be displayed on leaderboards. Monetizing courses is also easy to achieve. Purchases can be subscription based or one-time purchases using PayPal, Stripe, or 2Checkout. LearnDash also offers three free WordPress shopping cart integrations. Shopping carts offer extra features, such as additional reporting metrics, coupon support, affiliate programs, and a number of additional payment gateways. A major strength of LearnDash is its team of active developers, who are always open to suggestions for new features and releasing them as extensions. WP Courseware plug-in is similar to LearnDash in its offerings, barring the xAPI reporting feature. This plug-in offers the most integration options for combining with third-party membership plug-ins. It also has strong quizzing functionalities. Questions can be in many formats, ranging from multiple-choice and true or false to open-ended questions and assessment through document uploads. Quizzes have extensive display options – for example, they can be set up as a survey for data collection. They can require a minimum passing mark before progressing to the next unit; they can require questions to be answered, irrespective of the passing mark, before moving forward; they can show correct answers, show an input and explain the correct answer, or even be viewed later. These options can be turned on or off based on the course creator’s need. WP Courseware uses emails to update students and teachers about milestones, such as a completed course and passed quiz. These emails can contain links to download a certificate of completion, quiz scores, and course grades. Course management tools allow administrators to break courses down into modules, which can be further broken down into units. Each course has a grade book space where teachers can view the enrolled students. This space gives instructors an overview of students’ progress, grades, quiz scores, and whether or not marks were awarded to them. Teachers also can mass email final grades from the grade book page. Information from this page can also be extracted, in case teachers need to upload it into another school system. The strength of this plug-in lies in the ease with which it integrates with a widely used theme website (Woo Themes) and the eCommerce plug-in Woo Commerce to sell courses online. It allows you to create courses and lessons that can come with prerequisites. Quiz questions can be in numerous formats. A random selection of questions can also be displayed by creating a question bank. A widget displays the progress students make within courses. Sensei also offers extensions that amplify its capabilities to create custom eLearning to suit any WordPress site. These include awarding badges and certificates for passing quizzes and completing lessons, and sharing grades on social media. While these are some of the more popular LMS plug-ins in use, WordPress’s wide range of other plug-ins have the power to expand and enhance its functionality, allowing for additional customizations. The San Francisco Department of Public Health (SFDPH) got in touch with Monarch Media to help develop a WordPress-based LMS. Monarch Media developed a theme to help standardize and simplify the design. Monarch Media’s graphic designers worked with the department’s Center for Learning and Innovation (CLI) to create a design and layout for the theme, which also incorporated its desired branding elements. The WordPress-based LMS combines features such as blogs, calendar feeds, and social media to learners. Monarch used LMS-specific plug-ins, such as LearnDash, to enable course registration, presentation, assessments, reports, and similar functionalities. The LMS includes a customized registration form that allows CLI to collect information from learners, with the ability to edit, add, or hide fields depending on their needs. Course administrators or instructors can send emails or alerts regarding current and upcoming courses to learners from within the LMS. The system offers the ability to upload both xAPI and SCORM-compliant eLearning courses. It can generate reports to track system usage as a group or for individual learners. The data collected can contain information about the number of learners registered, number of courses each individual learner has taken, grades achieved, time spent on the courses, and other similar reports. A learner dashboard allows users to see what courses or trainings they have completed. A course catalogue allows for currently available courses and trainings to be searched by users. The LMS also awards certificates of course completion to learners. By taking this approach and leveraging WordPress’ native toolset, Monarch provided CLI with a system that offers the entire gamut of required features and functionalities, and made it as cost-effective, customizable, and easy to use and administer as possible.